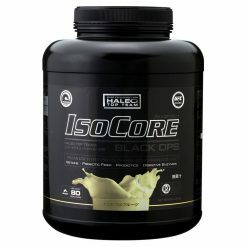 HALEO Isocore Black Ops Protein was created to answer the quest for exercise performance and bodybuilding. 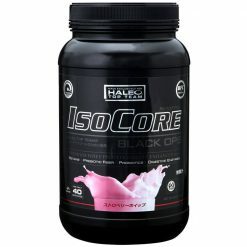 HALEO Isocore Black Ops is a Whey Protein Isolate (WPI) that combines performance and digestive support ingredients and is designed for top class performance and bodybuilding support. IsoCore Black uses cross-flow microfiltration technology to produce a high quality and concentrated protein, with almost no fat or lactose – This is a high quality protein. 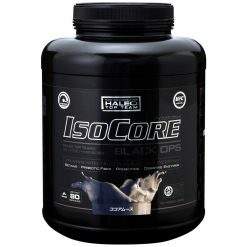 One serving of IsoCore Black delivers about 20g of protein. One serving contains 1250mg of strengthened blended betaine. 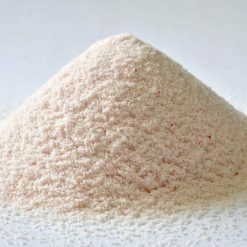 Betaine is an ingredient used for athletic performance support. One serving of IsoCore Black contains 500mg of FOS insulin probiotic dietary fiber. It also contains a 100mg blend of gut-friendly active enzymes – probiotic flora, Protease and LactoSpore. The combination of these nutrients, which are a very important element for sports nutrition support, are often overlooked in many programs.